Anthony A. DeMauro, PhD, is a Contemplative Instructor and Programming Coordinator at the Contemplative Sciences Center of the University of Virginia. In this role, he develops and delivers contemplative learning experiences to the university community. Dr. DeMauro also conducts research on how teachers’ personal mindfulness practices influence their teaching practices, and has taught courses in classroom management and mindfulness for preservice and inservice teachers. Dr. DeMauro delivers professional development programs to K–12 educators through CARE for Teachers and cofacilitates mindfulness retreats for teenagers with Inward Bound Mindfulness Education. Polina P. Mischenko, MEd, is a doctoral candidate in the Curry School of Education and Human Development at the University of Virginia. 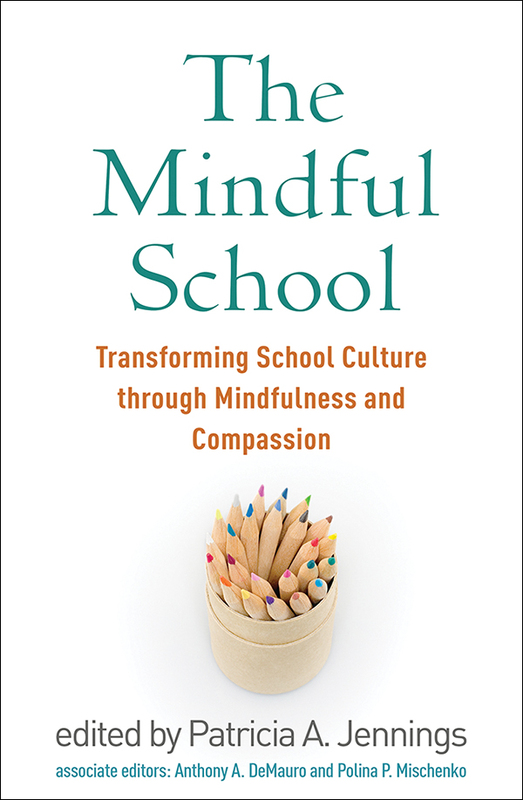 She conducts research on the experiences of teachers delivering mindfulness-based curricula and on approaches to teaching mindfulness in elementary school settings. She also facilitates mindfulness-based programs and workshops for school faculty and students, and assists local organizations and school districts with their mindfulness-based initiatives. Ms. Mischenko has worked in school settings and education organizations in the United States, Russia, Spain, and Switzerland.